Lx Center Guesthouse v Lisabon, Portugalsko: Zarezervujte nyní! Lx Center Guesthouse is a place where the guest can feel like in their home. We give you the best combination of a low rate price and an excellent and clean environment recently refurbished. Decoration is very simple in white an brown that will bring you the relaxing vibes. The location is very central, from the property you can visit the best attractions in Lisbon, like the beautiful Rossio, Alfama and even Parque das Nacoes. Castelo de Sao Jorge is near by and will allow you the beautiful views of the city from the top. For the night time we suggest you the famous Bairro Alto, where you can hear Fado vadio. 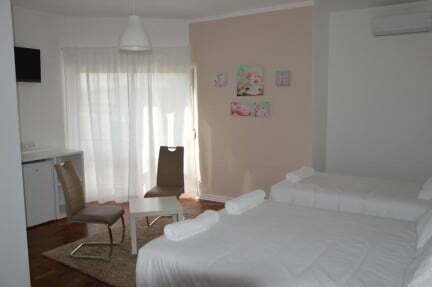 Our rooms are private, they have air conditioning and cable TV. 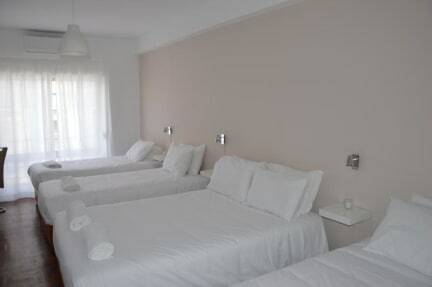 We try to make the rooms cosy and comfortable for you to rest.